How do you attract a flash mob of 150+ people to your restaurant? Offer the possibility of a Foursquare Swarm Badge, of course! Last week, restaurant owner Joe Sorge attracted 161 Foursquare users at the same time to his burger joint in Milwaukee, AJ Bombers (pretty impressive considering there are approximately only 300-400 total Foursquare users in the area). Even more impressive is the fact that the restaurant more than doubled its typical Sunday sales, with an increase of 110% that day. So how did he do it? If you haven't heard, Foursquare is a location-based mobile app that has been growing in popularity. Using the service, people "check in" at locations and earn badges based on a variety of factors, including frequency of check-ins, etc. In order to attract people to his restaurant to raise money for the Milwaukee Social Media Community to host an event at popular interactive conference South by Southwest (SXSW), Joe promoted the possibility of restaurant-goers earning the coveted Swarm Badge , which is awarded to users who check in at a location where over 50 other users are checked into at the same time. As a result, the restaurant raised over $500 toward the SXSW meetup. In an interview with Joe , he explains that he came up with the idea when he realized how much of the restaurant's fan base was getting into Foursquare. He promoted the event primarily using Twitter, but also took advantage of Facebook fan connections as well. 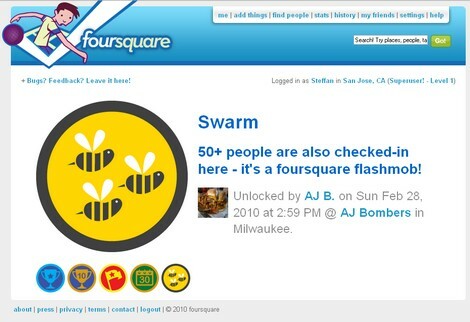 As a result, AJ Bombers attracted well over the 50 people required to award the Swarm Badge, and restaurant-goers generated a ton of buzz about the meetup via their social networks. Joe also created a video (below) and a Flickr set showcasing photos from the event . This case study is a great example of business owners harnessing the power of social media sites and applications to attract customers. It's also testament to the growing power of location-based mobile applications . Joe paid attention to his customers to learn more about them, discovered their growing interest in Foursquare, then did his research about how he could take advantage of the new trend. The result was a carefully and successfully implemented promotion that afforded him new customers and additional buzz (and -- you guessed it -- the opportunity to create more content). The lesson here is simple: Using social media for business works. Stay on top of and understand the latest trends, and most importantly -- be creative! Think about innovative ways you can use these applications to generate traffic to your website and/or your physical store. See a complete foursquare badge list to come up with your own badge promotion ideas. Mobile and location-based applications continue to grow in popularity. Are you thinking about how you can use them to your advantage? Already a Foursquare user? 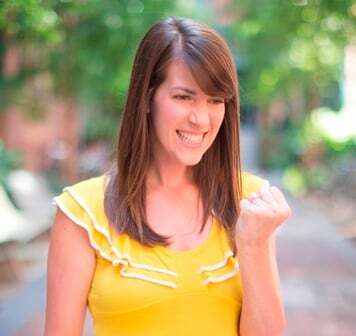 Measure your Foursquare mojo with our new Foursquare Grader tool!